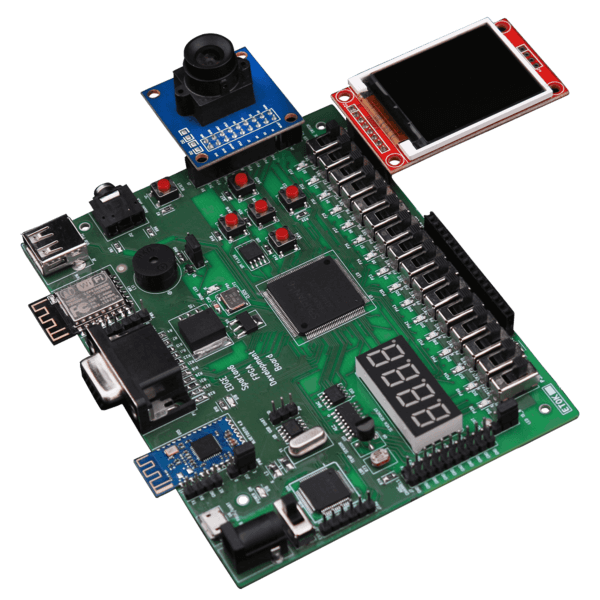 Carry Select Adder VHDL Code can be Constructed by implementing 2 stage Ripple Carry Adder and multiplexer circuit. 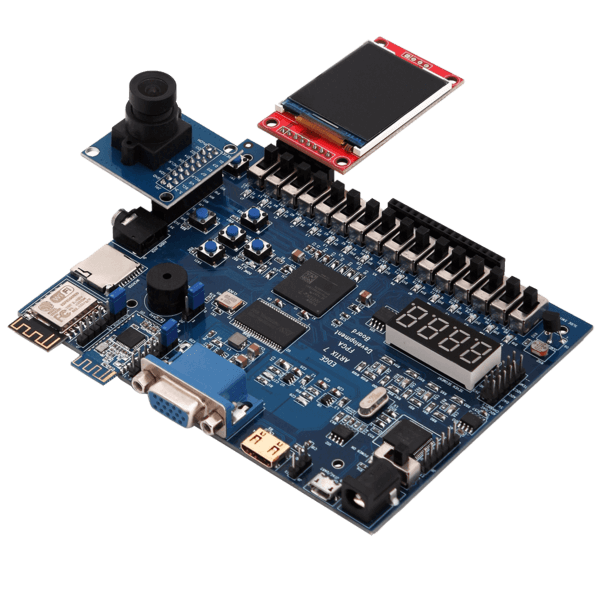 Carry Select Adder select the sum and carry output from stage 1 ripple carry adder when carry input ‘0’ and select Sum and carry output from stage 2 ripple carry adder, when carry input ‘1’. For the purpose of selecting sum and carry output, N+1 Multiplexer is implemented for N bit Addition Operation. 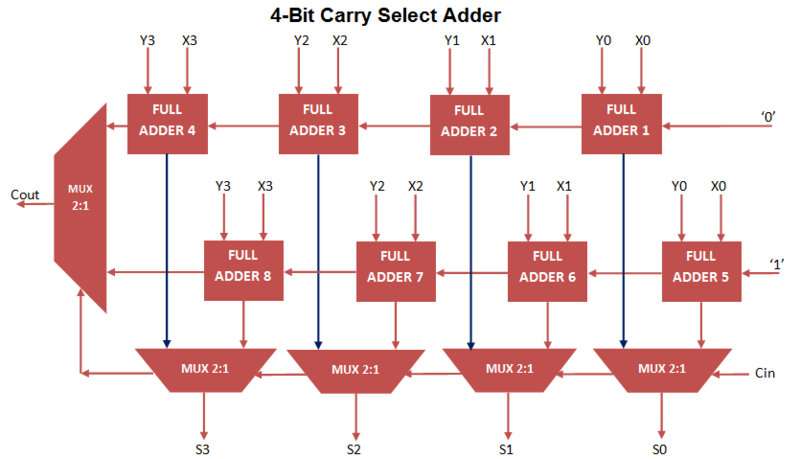 4 Bit Carry Select Adder VHDL Code consist 2 numbers of 4- bit Ripple Carry Adder and 5 numbers of 2 to 1 Mux. For constructing Ripple carry Adder again implement Full Adder VHDL code using Port Mapping technique. The Carry select Adder can also constructed using carry look ahead adder to decrease propagation delay. 4-bit Carry Select Adder Circuit can be constructed as follow. In the above waveform, it simply perform 4 bit addition operation for input X, Y, Carry_in and Outputs Sum and Carry_out using Carry Select Adder.